Plastic Trays – MARC, Inc.
Industries such as automotive, material handling and food services, all of which have small parts that must be kept separate, organized and properly oriented, employ plastic trays on a regular basis for the fulfillment of the aforementioned tasks as well as to catch excess materials such as oil or water. Surgical or instrument plastic trays are also used in medical and dental settings. 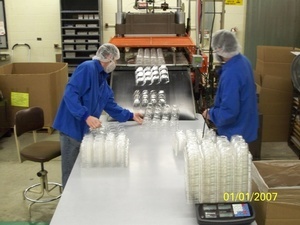 Cafeteria trays are another popular application for plastic trays which may be produced at a high rate of production when large quantities of uniform and stackable trays may be required. Reproducibility is also an important factor in the horticultural use of plastic seed trays for sowing and plant cuttings. These trays, and others for parts handling or product display and retail, are often made with individual cavities. 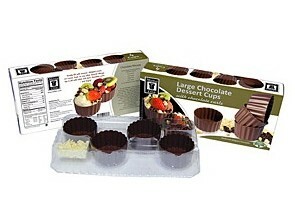 Other options for plastic trays include sizes and colors. A number of stock and custom options are readily made available for long-term or single-use as needed. It is important to consider the dimensions, thickness, orientation, lip height and strength of a tray with regards for its intended use. Like most vacuum formed plastics, plastic trays are inexpensive to produce but yield a high strength to weigh ration making them ideal for shipping, packaging and transport applications among others. Also known as blister trays as they are produced in a fashion similar to blister packs, trays begin as extruded or rolled sheets of plastic that are fed into an electric, natural gas or infrared heating system. High grades of polystyrene (PS) are most often used in the production of plastic trays, though polyethylene, PVC, and PETG may also be used. Heating such materials is the first step of all thermoforming and vacuum forming processes as the warmth causes the plastic to become soft and pliable. Warm sheets are then guided into a form station where presses or stamps adhere the material to a mold, usually the inverse of the desired tray shape. A vacuum is used to pull the material into the mold by removing all excess air for a perfect fit. The plastic is cooled in this position, returning it to a rigid state. When needed, reverse airflow from the vacuum vent may be used to break the hold on the plastic and eject the newly made form. Secondary processes such as trimming and coating are applied as needed as are aesthetic operations such as painting and printing. Plastic Trays Plastic trays are shallow platforms with raised edges intended to stop contents from sliding or rolling off of the surface. Designed for transport, display, storage and organization, trays are popular in manufacturing plants, implicated in both assembly and packaging processes.